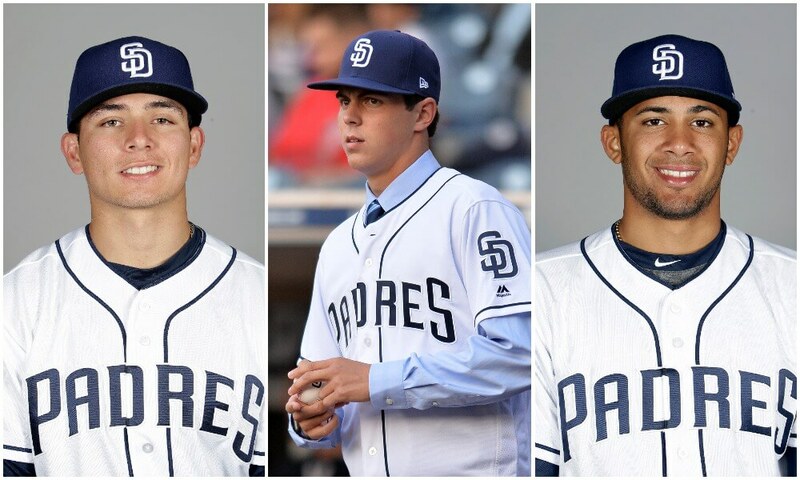 The hype surrounding the San Diego Padres’ farm system is undoubtedly the most exciting thing about the franchise right now. The first wave of young talent has already arrived in the big leagues. 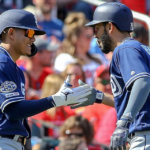 Guys like Dinelson Lamet, Eric Lauer, Joey Lucchesi, Manuel Margot, Hunter Renfroe, Franchy Cordero and Austin Hedges have all had varying degrees of success in the major leagues, but all stand a chance of becoming a part of the Padres’ long-term future. Below the big-league surface, however, lies even more “hot talent lava” waiting to erupt. 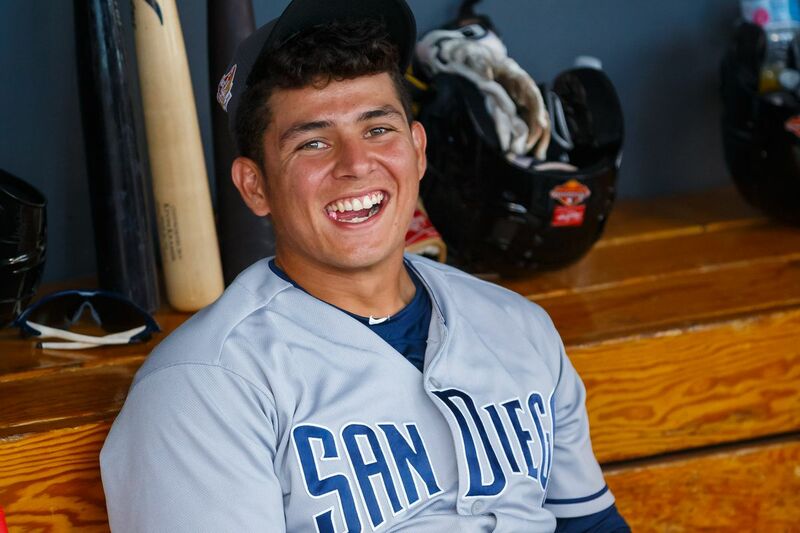 Thursday’s acquisition of catcher Francisco Mejia now gives the Padres a total of 10 prospects inside MLB Pipeline’s top 100 in all of baseball. 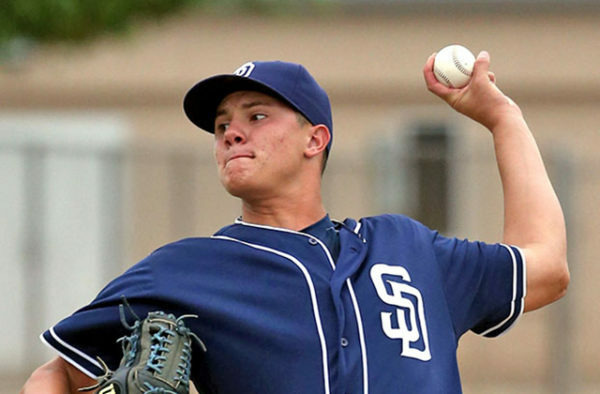 10 percent of the top 100 prospects in baseball belong to the San Diego Padres. That’s rare. Yet, there are both skeptics and believers of the ground-up rebuild that A.J. Preller is authoring. I would say the overt skepticism largely comes from a lack of understanding of prospects and the kind of impact they have on the long-term success of the major league team. I would say the overt belief stems from a tendency to get ahead of oneself—the reality is, a good percentage of prospects will not pan out. 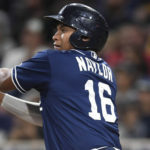 In this article, I want to put the Padres’ number-one ranked farm system into perspective by comparing it to top prospects of years past. To determine value, I will use career Wins Above Replacement (WAR), which admittedly is not a perfect stat, but is clearly the best stat available that consolidates an entire player’s value into one number. It is also important to note that WAR is a cumulative stat, so players from 2012 will presumably have a higher career WAR than players from 2016, for example. Now, let’s see who occupied those spots on previous years’ lists, starting with 2012 and finishing with 2016. There’s a couple thoughts about this information that I believe are important. For one, this is in no way an exact science. Noah Syndergaard was ranked just one spot above Gregory Polanco in 2013, for example, and one slight tweak in that ranking could make the 2013 list look a whole lot better than it does as currently presented. On the other end of the spectrum, Travis d’Arnaud was ranked two spots ahead of Francisco Lindor in 2012. So, ranking isn’t everything. 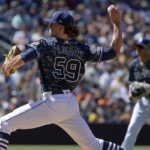 There are countless factors that go into ultimately determining a player’s major league success, many of which have nothing to do with prospect rankings. The same slots that produced a class like 2014 with Kris Bryant, Corey Seager and Trea Turner have also produced a class like 2013 where Jon Gray is the best player on the list. Only time will truly tell how these players turn out. I acknowledge that WAR is not a perfect stat, especially when valuing the younger guys in the 2015 and 2016 classes. Additionally, players come up to the big leagues at their own pace, so two players in the 2014 class may have varying levels of experience at the big league level, and thus have more or less opportunities to accrue WAR. 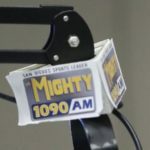 We’re all baseball fans here, so I encourage you to look past WAR and form your own opinion on each player mentioned. A guy like Clint Frazier, for example, is obviously worth more than the negative WAR he has posted in his 183 career at-bats so far. Lastly, take this information as you want. Whether these lists increase or decrease your enthusiasm for the “process” is not the point of this article. The true value in presenting these lists is in the perspective. It allows for a better understanding of what to realistically expect from this crop of prospects. Either way, one thing is for certain—this franchise finally has a clear direction for the first time in a long time. A.J. Preller is fully committed to this method of team building. So here’s to hoping the Padres end up with a lot more Kris Bryants and Francisco Lindors than Hak-Ju Lees and Lucas Giolitos. This is all well and good, but it’s painfully obvious that once a highly touted non-pitching prospect or well-known free agent is on the big-league club, he turns into an automatic out. 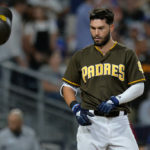 Is there some culture with the Padres powers-that-be that mandates a position player must become a weak hitter? The Eric Hosmer signing is a prime example. Is it the hitting instruction/philosophy within all levels of the Player Development organization that needs to be re-evaluated? I’m a diehard Padres fan, but I’m also beyond mildly frustrated that the major league club is year in and year out, a pathetic hitting club. Thank you for the read, Jon. 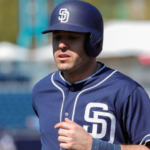 If we’re keeping it real, the Padres just haven’t had very many talented hitters. 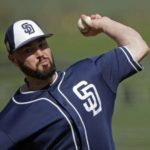 This farm system is the most talent the Padres have had in a really long time, and talent is ultimately the most important thing. Hosmer is obviously a good hitter and even more obviously is not having a good year, but to judge an 8-year contract on one first half seems crazy to me. Beyond that, what other examples like Hosmer do you have? The only other one I can think of in the recent past is Kemp, and it’s been well documented that he didn’t work to stay in shape in San Diego. Even then, 26 HR and 100 RBI for him in 2015. As far as the hitting instruction/philosophy thing, especially with young players, I think there’s definitely something to that. The constant turnover of hitting coaches at the big league level obviously stunts development when you’re reinventing your approach every season. In that respect, I do think the Padres need to find a guy they like and stick with him. 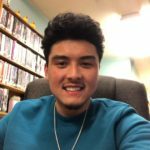 Brady, very nice article. There is definitely cause for optimism, if for no other reason than the sheer volume of top prospects. Lots of pitchers, and a future DP combination we’re hoping are Trammel-Whitaker redux. The cause for concern, as Jon touched on, is the lack of hitters, and the approach of too many of them. A low average, low OBP, high strike out, decent power hitter is simply not very valuable. We’ve seen a steady parade of this type in recent years. Shimpf, Gyorko, Myers, Renfroe, Hedges, Villanueva. I don’t pretend to know whether this is due to poor guidance from hitting coaches or poor attitude on the players part, but it is a concern. The other concern is organizational approach. Roster construction seems to be a concept with which the front office is unfamiliar. It certainly seems that defense doesn’t enter into their player evaluations. Reminds me of Baltimore, or Seattle of a few years ago.